Siete Misterios Pechuga is a rare release, and does not come from the Sola de Vega region like most of their other mezcal. This mezcal is made in small batches in Santiago Matatlan. It is hand-milled, and triple-distilled in a copper still. Before the third distillation, fruit and spices are added to the blend. A raw chicken breast is also suspended in the still and all of the vapor passes over the chicken before it is transferred into the final holding vessel. They produce less than 500 litres of this per year, so make sure to try it if you see it. Siete Misterios was founded in 2010 with the intent of keeping traditional mezcal production at the forefront of the mezcal industry. They produce a wide range of mezcals that all highlight a single agave varietal. They are backed by those who are deeply saddened by the industrialization seen in most tequila and some low-grade mezcal, and they're doing everything in their power to keep the art of the mezcalero alive. The mezcaleros making their bottles change batch to batch, so one batch's bottles may taste entirely different from the next batch's bottles. 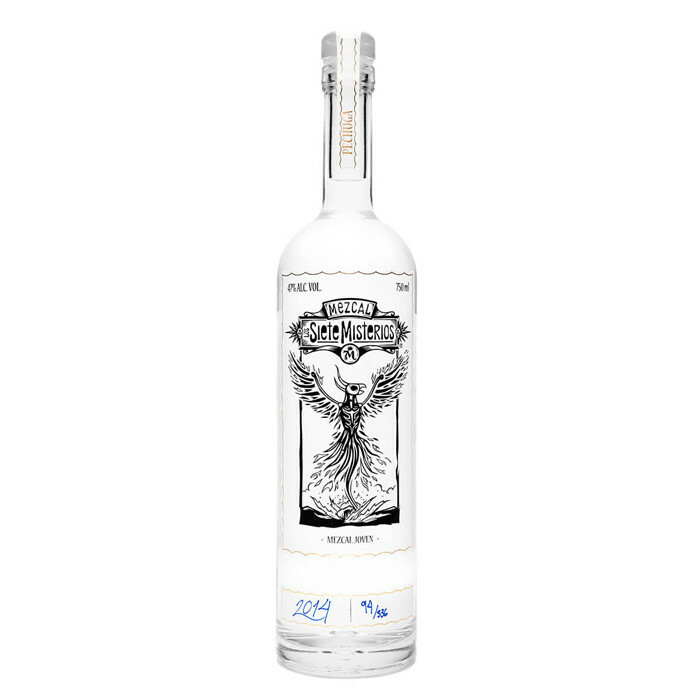 This gives Siete Misterios a lot of variety in it's bottling as each batch is made by a different person, with agave grown in a slightly different micro-climate, and the mezcal may hold a slightly different ABV. Make sure to check your bottle for these details. The mezcal starts off soft with fruity aromatic notes of papaya orange, and honeydew melon, as well as herbal aromas of hoja santa and mint with a touch of clove. The palate follows suit with the addition of pear, plantain and acacia honey making it even more complex.